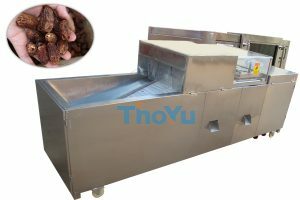 hawthorn pitting machine is mainly used for separating core and pulp of hawthorn and other fruits,such as olive, greengage, plum, apricot and peach etc. 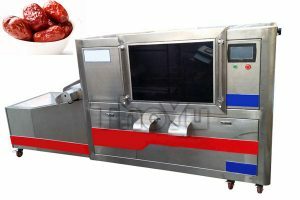 hawthorn pitter machine is one product created by our research and development team through unremitting study for two years, which can meet various size and viscosity of dates, hawthorn, olives, plum, apricot and other fruits. This hawthorn pitting machine adopts advanced structure of intermittent, rotary, motion, make the equipment more accurate, more life time, more widely usage,greatly improved the utilization rate of the equipment.The structure is simple, performance is stable, to nuclear rate is higher, our products is health. 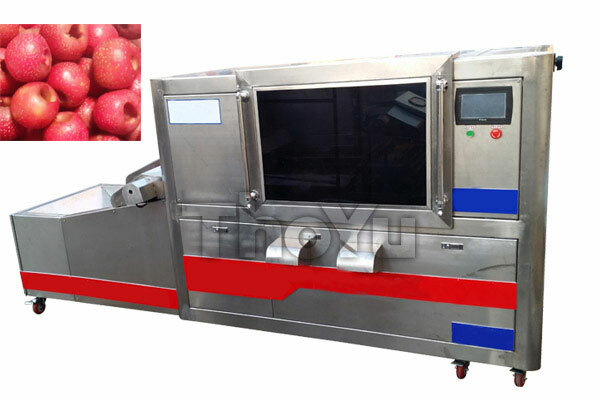 Most of the fruit are delicious and welltasted with much juicy, but we couldn’t keep the fruit fresh for long time.So we need to solve this problem and make the fruit workability again.The fruit pitting machine with automatic control appears which assists for processing the fruit like, cherry, plum,olive, jujube into the canned food or preserved fruit.This machine can processthe jujube which with the diameter scope from 10mm to 34mm, so you needn’t to make classifying for these jujubes. Application : Jujube, date palms, beach dates, cherries, olives, bayberry, plum, hawthorn, crab apples, apricots, peaches, Sapindaceae, and other fruits.